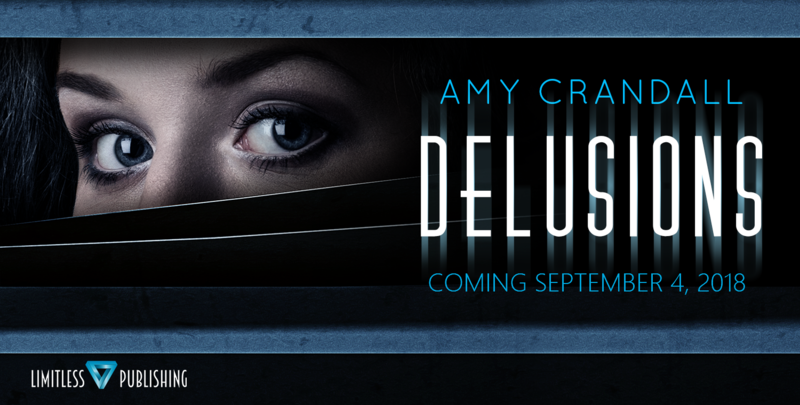 Amy Crandall – Author of Wattpad Featured Story Turned Published Novel "Delusions"
I’m pleased to announce that DELUSIONS is NOW AVAILABLE on Amazon! I never thought this day would come. When I first started planning DELUSIONS, I never meant it to be as big of a project as it’s turned into. I can still recall sitting on my bed in 2015 while dreaming up Abigale Fern and her world, scribbling down my raging thoughts on cheap dollar store paper. Back then, it was only meant to distract me from my problems, to put something out on Wattpad. I never imagined it would turn into a published novel before my very eyes. Surprisingly, it took me two years to write the first draft of the novel. I had set up a plot but didn’t start putting my thoughts on paper until months later. I’d actually taken a one-shot I’d previously written (now known as The Interrogation, Part One) and integrated it into the story. I had major writer’s block by chapter 18 and had to drop the novel for another six months. When I finally dug my heels in and began to write it again, I soared through the story. I even altered the ending. DELUSIONS was originally meant to have a cliché, boring ending that everyone had seen before. I’m so happy I was able to let my imagination run wild and change that. I have so many people to thank for this story, I don’t even know where to start. For now, I will extend a general thank you to anyone who has supported me, checked out my writing on Wattpad, or merely let me rant about my writing until I’m blue in the face. Thank you all, from the bottom of my heart. As of today, September 4th, 2018, DELUSIONS has received TWO five-star reviews on Goodreads, and another 4-star. This is even a more shocking development than when I received the e-mail from Limitless Publishing back in May. Thank you, thank you, thank you to all the bloggers who have or will be leaving reviews. You guys rock! To everyone else: it would mean the world to me if you could drop reviews on Goodreads or Amazon once you’ve finished the book! I am super excited to share the official cover for my debut novel “DELUSIONS”, which is releasing September 4, 2018 (that’s 23 days from now)!! If you’d like to see an image of the full jacket, click the link below! Also, you can follow my social media links (which are posted on the side of the website) for more news, teasers, and photos! Stay tuned for more pre-order news coming your way very soon! DELUSIONS: Teasers, Release Date, and Cover Reveal News! Check out my first newsletter for special news on the release of DELUSIONS!